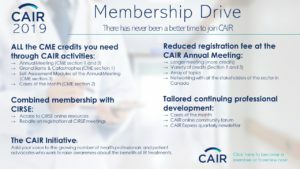 CAIR is a one stop shop. All the technologists who already are members of the CAMRT will benefit $20 reduction with CAIR. The CAMRT will communicate with their members to let them know how to take advandage of that promotion. Don’t hesitate to communicate with us too, for further information. 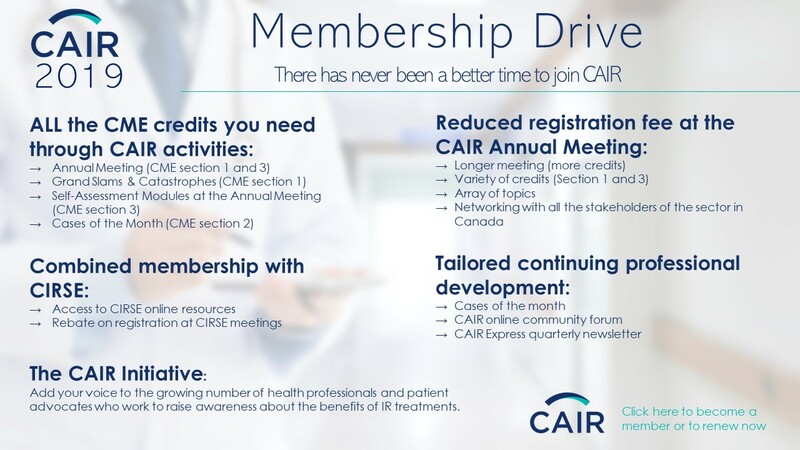 To register for a CAIR Activity or to become a member, you must first create an account (see below) or click ”Log In” at the top of the page. Did you complete a residency program? Did you complete a fellowship program?